Volkswagen Touran 1.6 TDI 115 SE Family 5dr 2019 Review | What Car? What Car? will save you at least £5,303, but our approved dealers could save you even more. 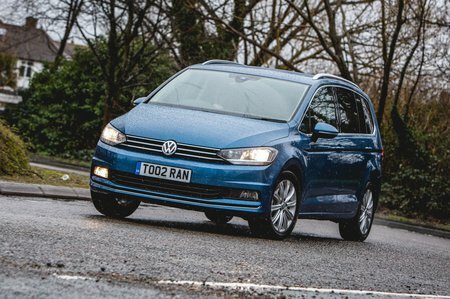 The VW Touran is roomy, practical, extremely well built and good to drive. It's a bit more expensive than the Citroen C4 Grand Spacetourer, but worth the extra – especially when you factor in the huge discounts that are available (visit our deals section for more on that). The 1.6 TDI and 1.5 TSI are the engines to go for and we recommend SE or SE Family trim to keep the price down. This adds a panoramic glass roof, a sat-nav, electrically controlled rear child locks, roller blinds on the rear windows, and a few styling upgrades. It’s worth going for if you’re set on having a really high-end feeling car. This is the entry-level diesel option, and comes with a six-speed manual gearbox as standard (although you can have a seven-speed auto). There are faster rivals, but this engine blends decent performance with excellent fuel economy. It's the pick of the range.